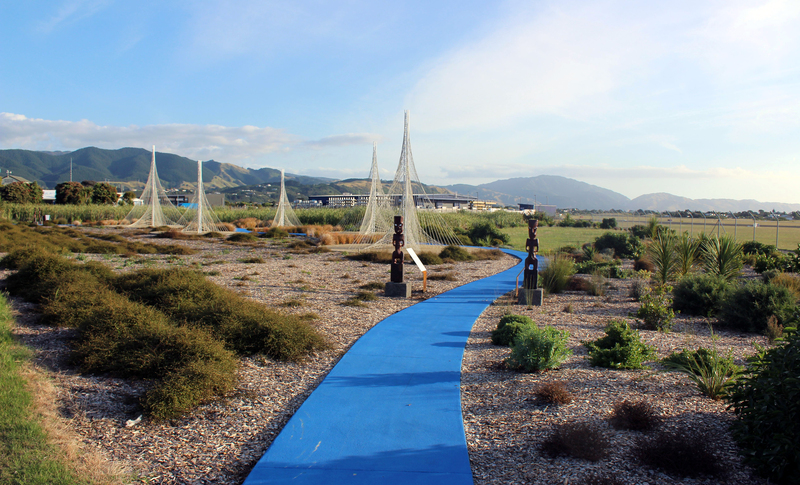 We went to check out this recently opened installation beside the airport last evening. It was commissioned by the airport company on private land and didn’t involve ratepayers money. Developed over a little period of time, it has attracted several questions on social media. 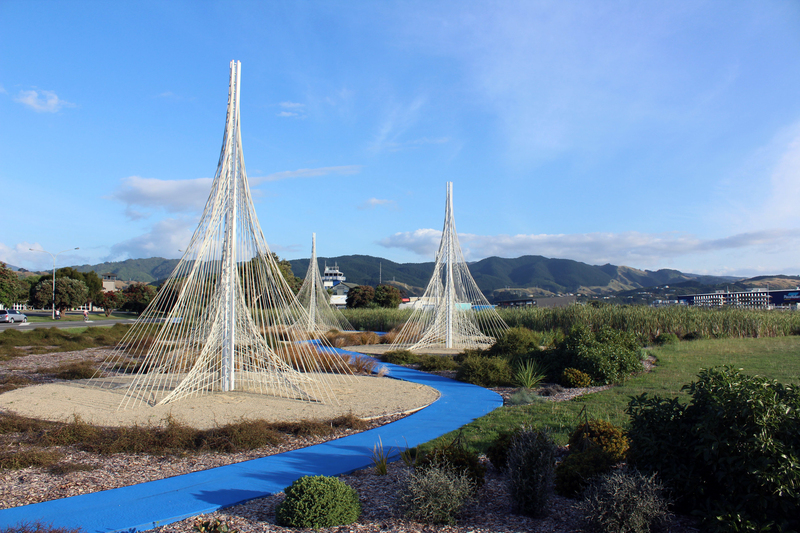 The five large conical style sculptures represent the original owners’ strong ancestral bond and connection to the land and the blue pathway represents the waterways that once dominated the Kapiti Coast. 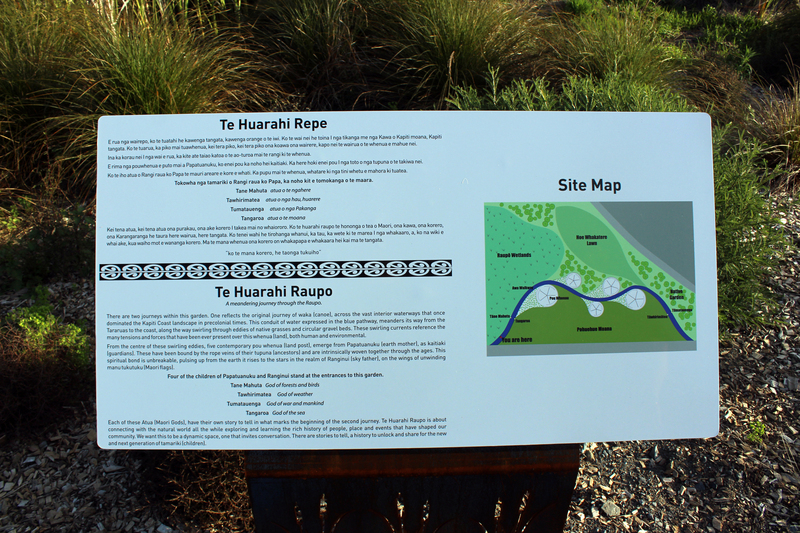 The eastern part of the area is dominated by raupo reeds. One problem for those wanting to visit it, however, is parking. The south side of the road next to it has yellow ‘no parking’ lines and the other side often contains parked cars for sale.